There's a definite downside to Apple Watch obsession. No gadget ever caused me to lose as much sleep as the Apple Watch. I wish I could forget about Apple’s shiny new smartwatch, but the damned thing has me under its spell. It’s the curse of Cupertino, and I’m just another hapless a victim. The shocking thing is I don’t even own an Apple Watch yet, despite my best efforts. On preorder day, I set my iPhone alarm for 3 a.m. so I could be one of the first to buy a $400 Apple Watch Sport sight unseen. 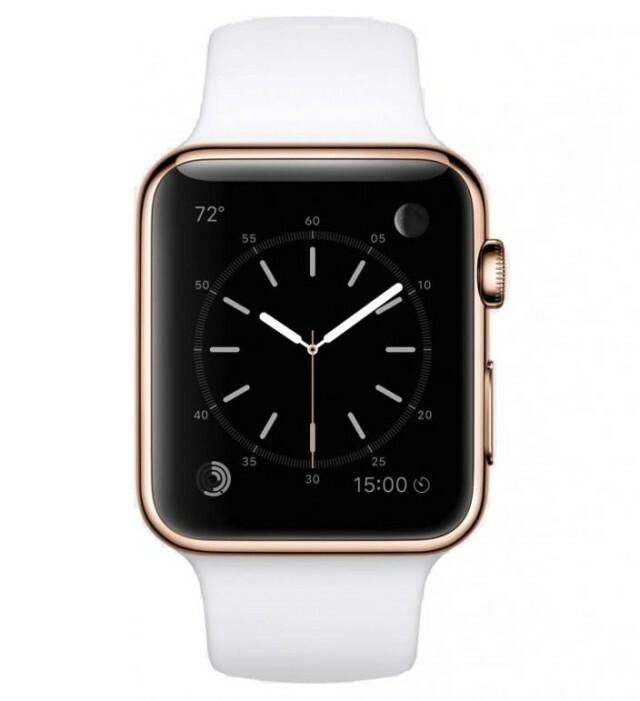 Now I, like thousands of others, find myself watching and waiting for an Apple Watch to arrive. The launch of Apple’s “most personal product” was highly irregular (although Apple is no stranger to slipping shipment dates). There was no camping in line outside an Apple Store to snag one of the first to roll off the delivery trucks, thanks to Cupertino’s online-only sales strategy for the wearable. Shipping times slipped immediately, especially for the more manly versions (models with black Sport bands, space black stainless steel models, 42 mm case versus the arguably more feminine 38 mm, etc.). Nothing but the least-expensive, most traditionally masculine model — the black Apple Watch Sport — appealed to me (although the Milanese loop is quite fetching). The other Sport models, with their brightly colored bands, seemed like a ridiculous fashion statement ripped out of the neon-drenched ’80s. The midrange stainless steel Apple Watch seemed too pricey for a first-gen device that will undoubtedly be outdated in months, not years. And don’t get me started on the gold Apple Watch Edition models, which were designed for tech and fashion elitists (and poser braggarts like Kanye West). I was cruelly disappointed by the long wait time for the black Sport model, but hey — that’s what happens when you order the most popular version of a new Apple product. There was a brief window — as in a couple of minutes — during which I could have opted for a petite model or one with a colored band, but I stuck to my guns and went with the manly option like so many others. Since then, Apple has listed my order status as “Processing Items.” The delivery window, May 13 to May 27, is now open and some naive part of me hoped Apple would under-promise and over-deliver on this one. When the 13th came and went without the long-hoped-for email saying my credit card had been charged, my Apple Watch angst got bumped up a level. White band? Gold case? This Apple Watch Edition is clearly not for me. The wait seems interminable. At this point, I think I’ve moved through all the five stages of loss and grief when it comes to the Apple Watch. Anger: When April 24 rolled around and my co-worker’s watch arrived, I quietly seethed because my preorder hadn’t budged. Depression: I’ve been in a blue funk ever since I discovered that the space gray Apple Watch Sport with the black band was the most highly sought-after model, and thus one of the slowest to catch up on fulfillments. All I had to do that fateful morning was settle for a periwinkle blue band … woe is me. Acceptance: At this point, I’ve accepted the fact that my Apple Watch will arrive when it arrives. I feel slightly gypped by the fact that even Tim Cook’s supply-chain wizardry couldn’t enable him to deliver in a substantial way on the April 24 Apple Watch launch date, but there’s literally nothing I can do to change that at this point. I can take heart in the fact that it’s not just me obsessively checking my shipping status like a crackhead with OCD: The web is loaded with preorderers begging for information about ship dates and how they correlate to exact times that orders were placed. There’s even a Google Docs spreadsheet set up by one industrious Apple fan to track the details of Apple Watch preorders and delivery dates in the U.K.
For me, last night was an especially miserable exercise in Apple Watch anxiety. I spent the night tossing, turning and fretting. It was unlike anything I can remember since those college crushes, when the flames of love and longing burned so bright in my idiot flesh. Now some small part of my brain is apparently nervous because the credit card I used has been updated since I placed the Apple Watch orders. I woke up repeatedly last night, imagining in my stuporous half-slumber that Apple had emailed me to say the order had been canceled because my card was no good. The dream was so believable I can almost remember reading the emails. I was awash in a sweaty mix of horror and mortification: How could I have been so stupid to upgrade my credit card in preparation for a trip to Europe? Would Apple cancel my order? How would I live another month without a precious Apple Watch? In the cool gray light of day, I can see it’s an unnatural obsession. I understand it’s not cool to constantly eye my co-worker’s Apple Watch with more than a hint of jealousy (even though his is a prissy 38 mm Sport with a gleaming white band). 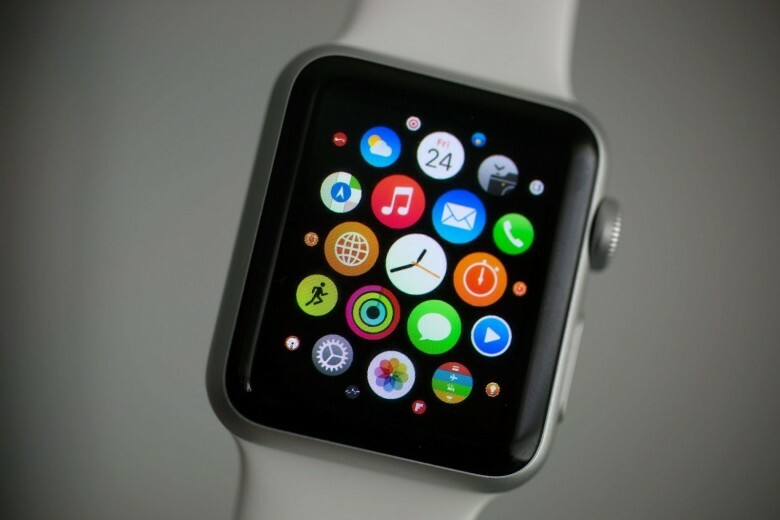 Objectively I know the Apple Watch is just another gadget to add to the mix, another learning curve to endure. Then I look down at my naked wrist, and I feel the desire once again, and I have to count to nine and let it go or I’ll be heading to the Apple Store page one more time to start feebly hit the refresh button in vain. But I must stay strong. I’m like Captain Ahab, engaged in a manly quest, patiently awaiting the appearance of the great white whale, that thing I cannot have but cannot forget. If only I had ordered a little white Apple Watch.